The Orbit X Explosion Proof Wi-Fi Camera is perfect for communicating in hazardous areas. This Bartec device is a lightweight camera which can be worn so that you can communicate the 'eyesight' which users experience in the field. The Orbit X supplies both audio and video to a very high quality. The camera is equipped with a HD imaging sensor, two powerful LED's and laser pointer fitted into a compact form. The product allows the user to capture HD images and videos and also conduct live video chat which can be used for CCTV type streaming in zone 1 hazardous areas. The Bartec Camera is able to take 1080p images which can be viewed in high quality over a Wi-Fi connection or stored locally on the device. The device can be used in dark, confined areas, making it an extremely versatile product and is also very user friendly. It can be fitted onto a helmet, used as a surveillance camera, or even used as an inspection camera. The camera can also be combined and used with the Impact X Intrinsically Safe Smartphone or Gravity X Intrinsically Safe Camera. The Orbit X Explosion Proof Wi-Fi Camera is an original creation by BARTEC PIXAVI which has a rugged yet stylish appearance and an impressive 1080p camera which can capture images and video. This user friendly camera comes with the impressive SIPIDO app, which enables the user to stream live HD video wirelessly to any SIP video conferencing system. Alternatively, the user can also store videos and images locally on the device's 32GB internal memory, so that they can later be transferred onto another device or computer using a USB. The Collaboration X Cloud Management Solution function can also be used for unlimited storage. The camera has two integrated LED lights for illumination in dark, confined areas. The light does not trigger optical alarms and the laser pointer allows for easy collaboration when in a real time communication session. Both the light and laser can be easily switched on and off by the touch of a button. The Orbit X can be managed from a browser through the Collaboration X Cloud Management Solution as the device is now cloud managed for ease of use. The user can also configure the Orbit X using an android smartphone, the configurator app is available to download on Google Play. The Bartec device can be used for many different inspection, maintenance, documentation, communication and collaboration tasks. 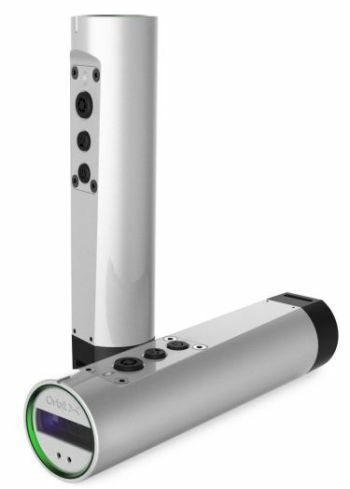 The Orbit X is extremely flexible, it can be used just as a camera to capture images/ record video, or can be used for video conferencing. Each camera function has a button specifically for that purpose, which makes it very easy to operate. It also comes with a guide and is simple and quick to set up. The Orbit X Explosion Proof Wi-Fi Camera can now be used as a wireless video headset with the use of a simple headset connection. It has a direct audio output, or alternatively, built in Bluetooth connectivity for wireless headsets. The Orbit X has many cases and mounts which can also be fitted so that the user is able to use the camera wherever they need to. You can now also inspect those hard to reach areas with the telescopic pole accessory. The Orbit X also has a strap mount for dropped object safety cables and accessories such as neck and wrist straps.